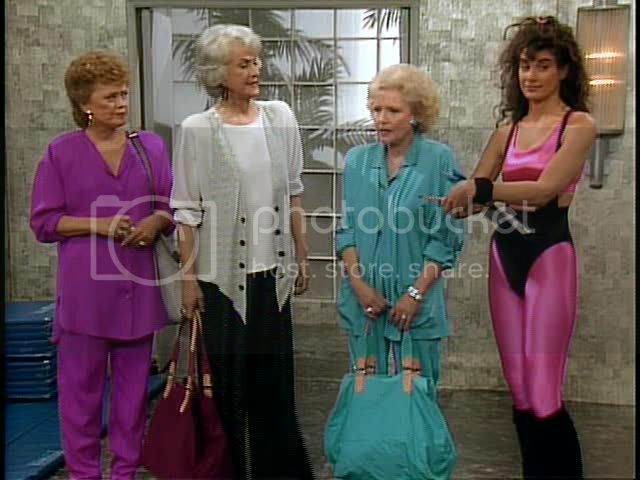 Today during my Body Pump class, while dissociating from the crippling pain, I remembered the episode of The Golden Girls when they join a gym. A super-buff fitness instructor named Yvonne tries to get the girls to buy all this gear, including leg warmers, which Dorothy insists she doesn't need. Shocked, Yvonne asks Dorothy what she's using to keep her legs warm and she says, "Friction!" ;) Truth! Luckily I survived, even though I'm still nursing a hacky sinus infection. I also experienced an exciting milestone - my Y membership keychain card wore out! And it wore out from use, rather than pesky pudding stains. *PROUD* For most of my life, I only managed to exercise in fits and starts but I've been consistently moving my heiny since I joined in 2010. For me, that's progress. It's been about 10 months since Kali came to live with us and I think I can best describe life with a kitty like living with a small, furry dictator. Take the other morning, for example. I was getting dressed after my shower and apparently, had some drops of water on the tops of my feet. Kali sauntered over and started delicately licking the water off my feet. I thought, "AWWW, what a cute thing!" Moments later, she chomped down on my foot and when I yelped, prissed off, utterly disgusted with my wimpery. TL;DR → Cats are assholes. Here in Indiana, we've expecting ludicrously-gorgeous weather this weekend. I have Monday off for President's Day. I had planned to work anyway and bank the hours since I'm using so much PTO while John's in the hospital but for awhile now, I've been running on fumes so I decided to actually take the holiday. That means I have a long weekend ahead and I can't wait!